From a lonely childhood in the Piney Woods of East Texas to an exciting life in the White House, Lady Bird Johnson loved these wildflowers with all her heart. They were her companions in her youth, greeting her everywhere as she explored wild forests, bayous, and hills. Later, as First Lady, she sought to bring the beauty of wildflowers to America's cities and highways. She wanted to make sure every child could enjoy the splendor of wildflowers. 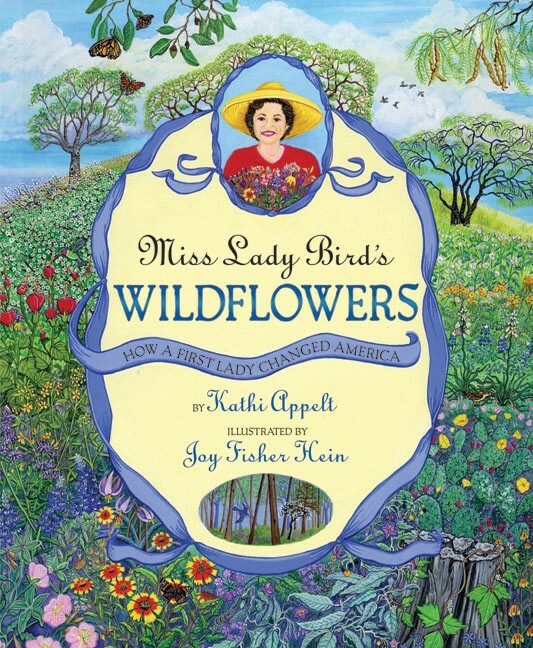 In this warm, engaging look at the life of a great First Lady, Kathi Appelt tells the story behind Lady Bird Johnson's environmental vision. 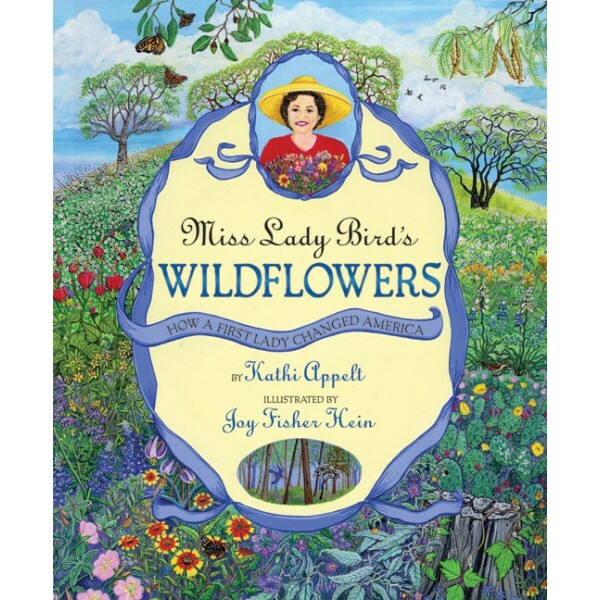 Joy Fisher Hein's colorful wildflowers burst from every page, inviting us to share in Lady Bird's love for natural beauty.